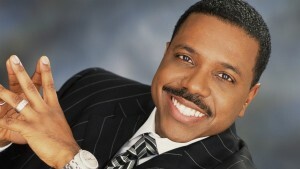 Televangelist Pastor Creflo Dollar teaches that there is a connection between holiness and grace. It is by God’s grace that we are forgiven of our sins and saved from eternal death. His grace also gives us the ability to live a life that pleases Him. Many Christians today have accepted the norms and values of society, including the world’s stance on sexual immorality. However, as Believers, we must uphold God’s standards of purity in order to live a life that pleases Him. “Christian people have become so influenced by society, that the church has become the sub-culture,” says Dollar. In Creflo Dollar’s eye-opening message Clean Living by God’s Power, you will discover how to overcome your flesh through the grace of God.